One of the most important aspects to a dynamic and productive society, one that is able to make progress towards a prosperous and sustainable future, is a focus on healthy child care and development. One of the most efficient paths to this end is to not only expand access to early childhood education but to improve the quality of child care programs. What are the most critical factors that signify quality early childhood education? Which particular aspects of your child’s care program will have the most positive and lasting impact on their development? The first and most important aspect of early child care is the quality of direct interactions between children and educators. Children will consistently learn more when adults in the classroom provide high-quality pedagogical opportunities. These interactions have been repeatedly associated with higher levels of literacy, improved mathematical skill, and healthier social confidence. Teacher training and continuing education is the third most important factor in successful early childhood education programs. Educators that are able to stay up to date with the field’s latest strategies and methodologies will be better prepared to cater to each child’s needs. The implementation and persistent monitoring of these factors, particularly in education centres that cater to young children, can help lay the foundations for successful and well-adjusted adults; as such they should be at the top of your requirements when deciding on the right education programs for your children. Nutrition And Childhood Development – Is There More To It Than Meets The Eye? A worrying trend has manifested over the past decade in the form of a growing concern about the levels of quality of our children’s academic education. Many parents, across all strata of society, have come forward questioning whether the current educational system is inadequate and whether it prepares our children for the future. The sad truth is that these parents aren’t altogether wrong. Schools are a mirror to society, and a multitude of factors affect our children’s educational environment. Obvious factors like teacher’s training and vocational aptitudes are compounded by less obvious ones such as the impact that nutrition has on intellectual development and educational performance. What role does nutrition play childhood development? Our children’s quality of life, including their eventual integration into society as prosperous and well-adjusted individuals, is undeniably linked to nutrition. By ensuring that our children have access to sound nutritional practices from childhood, we can guarantee that they grow to be healthy individuals as well as significantly lower the risk of them developing preventable diseases such as atherosclerosis, obesity, and diabetes. Does nutrition affect intellectual development? There is no questioning that malnutrition radically affects school performance and childhood intellectual development. Conditions such as iron and zinc deficiencies can eventually lead to anaemia, stunted cerebral growth, impaired immune response, and even hypogonadism; all of which have been repeatedly associated with lower intellect. In fact, clinical studies have shown that malnutrition can reduce a child’s adult IQ scores by up to 15 points. A child with a poor nutritional environment is several times more likely to be held back a grade than his better-fed contemporaries. Moreover, there is strong evidence to suggest that the earlier the child begins to benefit from nutritional programs, the higher their development will be. 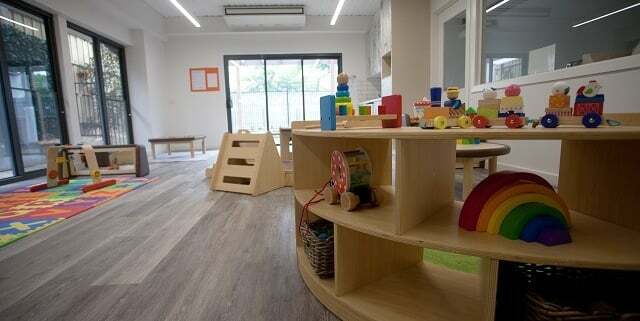 Therefore, it is imperative that parents seek to include these practices early and with the support of their children’s early education centres. https://discoverytree.com.au/wp-content/uploads/2018/12/childhood-nutrition.jpg 565 849 blogger https://www.discoverytree.com.au/wp-content/uploads/2017/06/Landscape-logo-300x131.png blogger2018-12-10 11:10:512018-12-18 11:37:03Nutrition And Childhood Development – Is There More To It Than Meets The Eye?